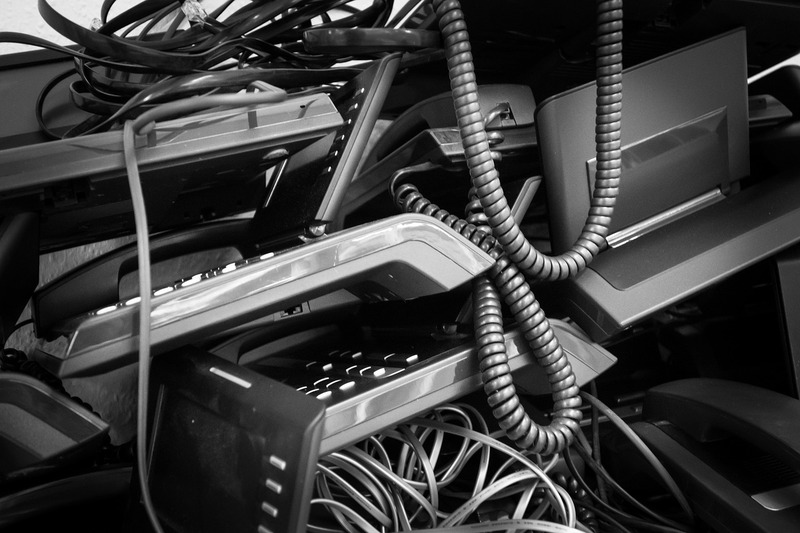 As we adapt a tech-heavy lifestyle each year, the problem with e-waste becomes more prevalent. Electronic products and gadgets that typically get thrown in the bin can be repaired, re-used or even sold as long as they’re in working order. The good thing is that more and more people are becoming aware of the e-waste dilemma and have started taking action. In Ireland, recycling has increased over the course of 3 years, from 30.9% in 2010 to 46.1% in 2013. Consumer intervention can only do so much though, as electronic products continue to pile up and make up a significant portion of landfills. The longer electronics stay buried, the more likely they are to leak toxic chemicals or substances that pollute water supplies, the air and the ground itself. Hopefully, organizations and those in power can bring about solutions to combat the serious health and environmental hazards of e-waste. Ireland is one of the best students when it comes to recycling. The nation has passed the WEEE, or Waste, Electrical and Electronic Equipment program and continues to play an active part in recycling e-waste in Europe. In fact, Ireland has passed EU in terms of collecting, the reuse, recycle and recovery of WEEEs in 2013. What’s more, the country is on track to meeting or even exceeding the target goal of 65% collection and recycling for 2019. It may seem counterintuitive that a product of technology can help solve the e-waste problem, but with blockchain the recycling issue can potentially be solved. There are many who believe that the blockchain can be implemented to alleviate or even bring the e-waste concern to a complete and satisfactory resolution in the near future. The greatest inventions oftentimes weren’t intended for their current purpose, and this is the same with blockchain. Commonly tied to digital fiat (cryptocurrency), blockchain has shown itself to be versatile in terms of application. In solving the e-waste problem, blockchain can help improve the recycling part. A block is a piece of data that gets its own unique digital signature. The next block will naturally contain its own information and signature, and so on. Connected blocks are therefore labeled as blockchains, a decentralized form of data that belongs not to a central authority or organization, but to the users of the network. This peer-to-peer control, along with blockchain’s unique signature and other security makes corrupting the data nearly impossible. This isn’t the first time that blockchain has been used to help recycle tons of waste materials. In Canada, a company named Plastic Bank was created as a solution to minimizing the ecological damage caused by plastic waste. Currently, the company is operating in four countries such as Peru and Haiti and plan to expand to other nations in the near future. Plastic Bank has recycling centers in strategic locations. People can bring waste, such as plastic bags, cups and empty water bottles and exchange them for digital tokens that are secured in a blockchain platform. The token may then be used for charging phones or food. All the plastic gets to a buyer who will then re-use the material. In France, blockchain was used to record data on recycling station bins inside the Lyon Railway. With the pilot programme, the French Rail has streamlined their waste management system and saved approximately €2,000 in one station alone within a single month. How Can Blockchain Be Used For E-Waste Recycling? The current recycling management system is prone to cheating, and owners often take advantage of loopholes to gain more profit. For example, staff may be ordered to collect recyclable materials but not have it recorded in the books. Blockchain can be implemented in satellite recycling machines where people can exchange their old gadgets and non-working electronics for digital tokens. The data and information collected on these recycle vending machines are secure and tamper-proof from the moment blockchain technology is installed. It’s certainly true that e-waste is a big problem that can affect each and every one of us in the long term, but awareness doesn’t necessarily translate to accountability. One viable solution to the e-waste crisis is accountability- everyone has to pitch in and be held accountable as a whole. Blockchain can record and secure invaluable data at any point during the recycling process. There won’t be any discrepancy, whether during the time when people are bringing in their e-waste to be reused and recycled up to when the materials are in the process of being remade into something new. Vital information such as amount of e-waste collected, the type, which handler brought it in and where the waste was sent to are all saved, which in turn promotes accountability. Blockchain’s immutability forces people, recycling centers and organizations to stay honest as they make the world a better place. When implemented, it can bring about an immense change for the better. By Stewart McGrenary, who is the Director of Plunc – one of the UK’s leading leading online recyclers for high end gadgets and electronics.